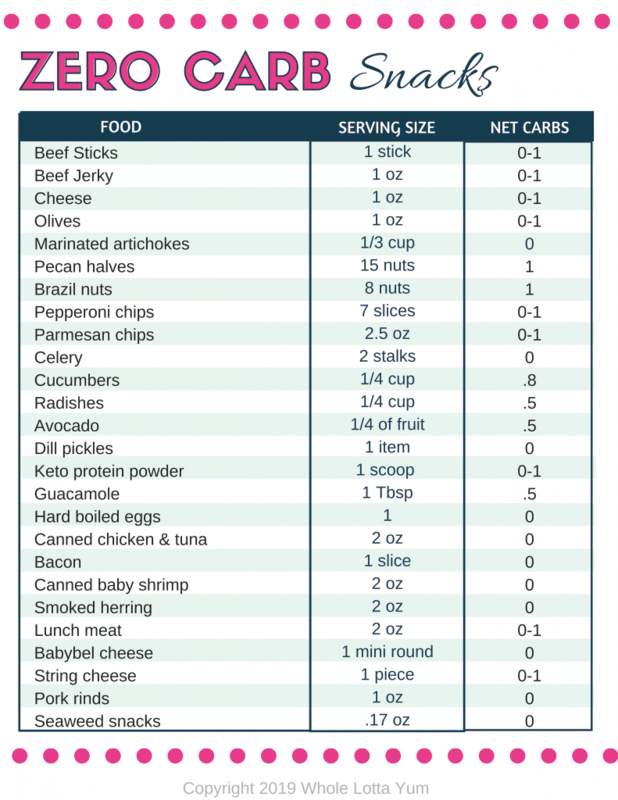 You’ve probably heard great things about a low carb or Keto Diet but don’t know how that’ll fit in with your vegan lifestyle. Rest assured, you can stick to a plant based vegan diet AND also be low carb or keto! 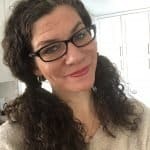 We definitely understand the limitations of juggling the two health plans together, my husband is following a Keto Diet and could eat meat and dairy all day, yet my body doesn’t tolerate dairy very well, and while I don’t mind seafood on occasion, I feel my best when I stick to a plant based diet. For us to find compromise, we’ve been eating and preparing lots of keto vegan recipes so that we don’t have to regularly prepare separate meals. Finding vegan keto breakfast recipes that can become your weekly go to recipes will make your vegan keto meal prep easy and make it simple to stick to a vegan Keto Diet. 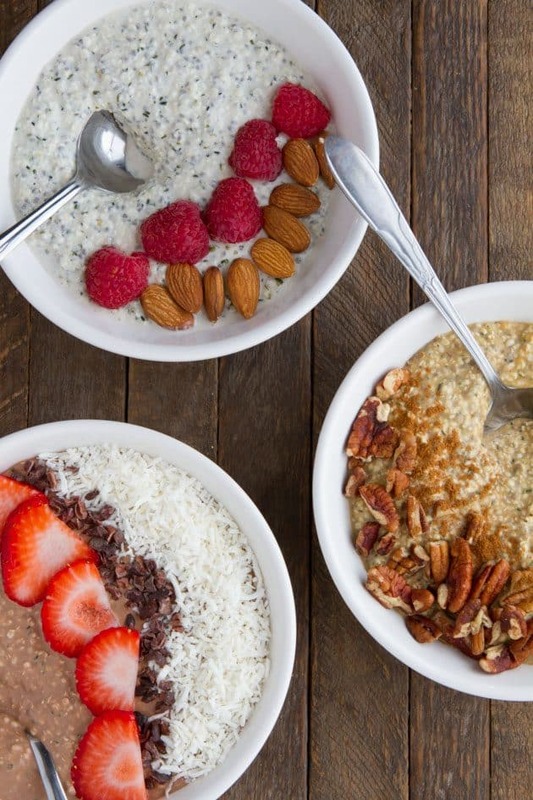 Whether you’re craving pancakes, chia pudding, scrambles, or overnight oats, we have many vegan keto breakfast recipes to help you. This is a total of 14 vegan keto breakfast ideas that will make meal planning so easy! Whether you choose your favorite 7 and repeat those once per week or even do a 14 day rotation, you’ll have tons of keto vegan breakfast options that’ll really simplify your vegan keto meal planning. Finding an easy vegan keto breakfast like chia pudding is a goldmine! In my opinion, chia pudding not only makes a delicious keto vegan breakfast, but its also a yummy vegan snack recipe or keto vegan dessert too. This yummy keto vegan breakfast pudding gets made the night before and is an easy way to meal prep for your breakfasts. Make sure to allow at least 3 hours to blend flavors in the fridge before eating this amazing chia pudding! 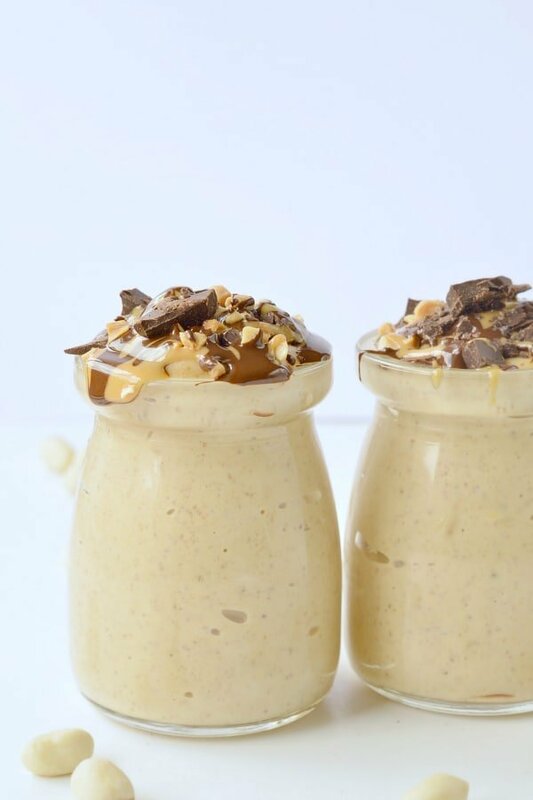 What makes this pudding keto is the combination of chia seeds, almond milk and sugar free monk fruit as a sweetener. We know you’ll love this recipe as much as we do! These amazing overnight “oats” are not only a great vegan keto breakfast idea, they’re also gluten free, paleo, and oat free too. What’s the secret ingredient that becomes your oat substitute? Manitoba Harvest Hemp Hearts! This is another recipe like the chia pudding that is best prepared the night before, but unlike chia seeds that get gummy when softened, hemp hearts take on more of an oatmeal texture and can be used in a 1 to 1 ratio for your favorite oatmeal recipes. Healthful Pursuits gives you 3 recipes for overnight oats, including vanilla, chocolate and pumpkin spice latte. 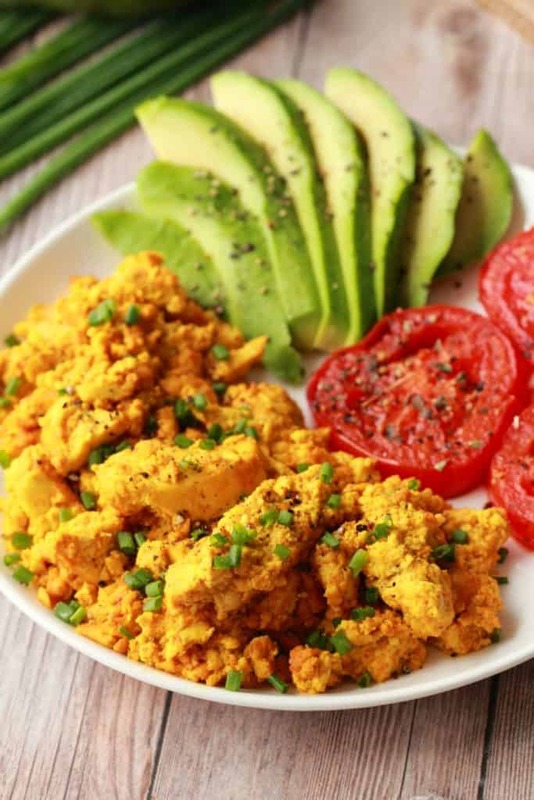 This yummy tofu based vegan keto breakfast is the closest thing you can find for a keto vegan egg recipe that does NOT have eggs. The secret ingredient? I special kind of salt called Kala Namuk that has a natural eggy taste! We were served this exact salt on a cruise we took 2 years ago and can attest that YES a salt that tastes like eggs does indeed exist. If you like the taste of eggs but don’t want to eat real eggs, then you’ll love this hearty keto vegan breakfast idea. 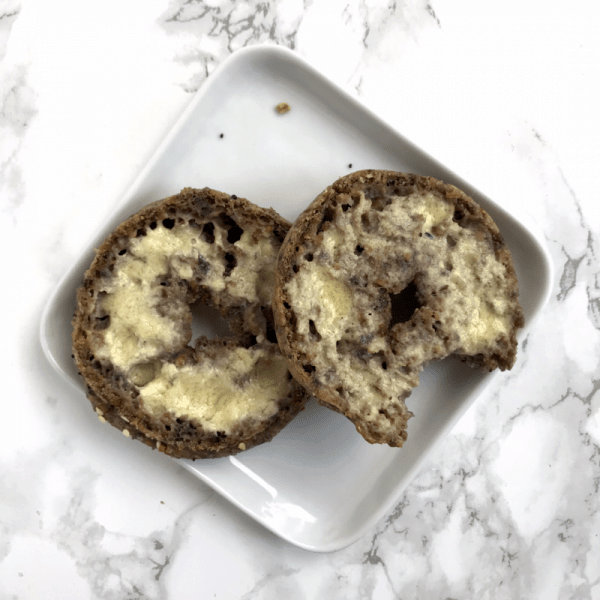 These keto vegan bagels make a fabulous breakfast on the go, this recipe is also gluten free, soy free and nut free. Finding a low carb sandwich “base” is hard to do when you’re both vegan and keto, but this great recipe from Meat Free Keto fits the bill. If you were worried you’d be given up baked goods if you followed a vegan keto program, have no fear that with recipes like this from The Big Man’s World, you can still have bakery style goodies that taste amazing. 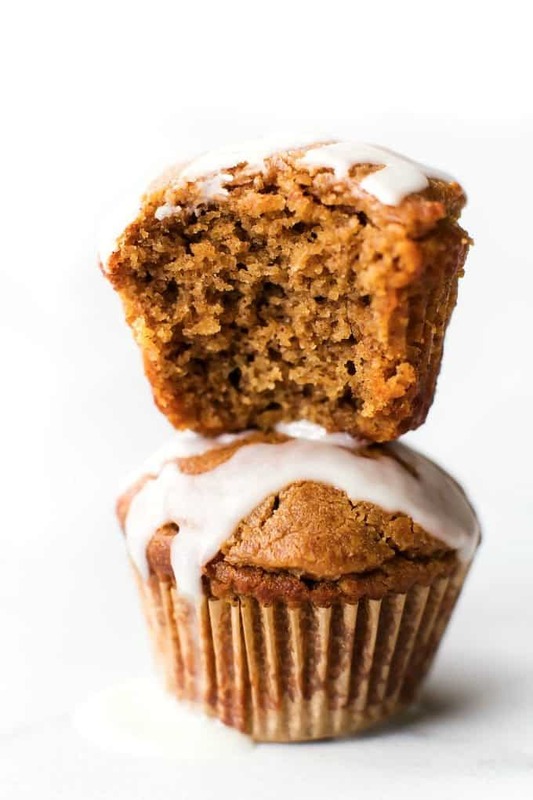 In addition to being a keto vegan breakfast, the cinnamon roll muffins are also paleo. Can you believe these vegan muffins only take 15 minutes? That makes these an ideal vegan breakfast during the weekdays too! 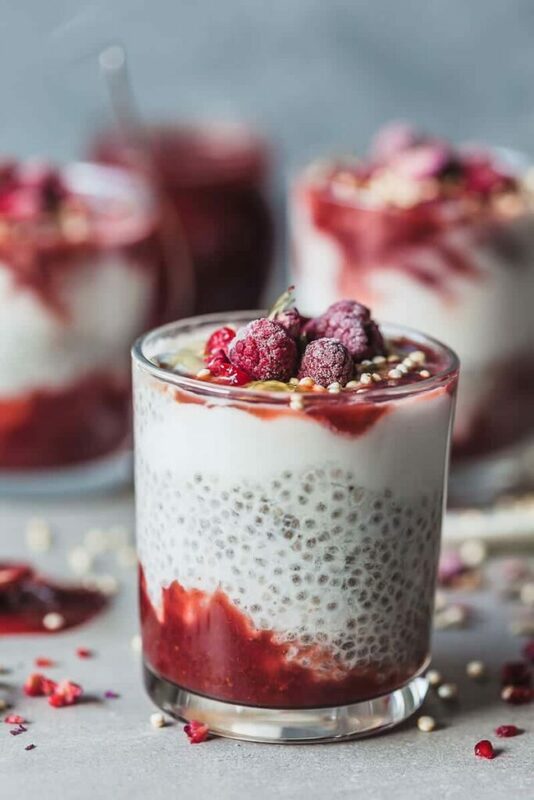 Here’s another chia pudding recipe that makes a delicious vegan meal prep recipe for breakfast, a snack or as a dessert. Instead of peanut butter like the other recipe, here’s a fabulous fruit and coconut version! Raspberries have a lower carb count than strawberries do, so I’m sure this would taste delicious swapping out raspberries to keep the carb count down even more on this yummy make-a-head vegan keto breakfast. 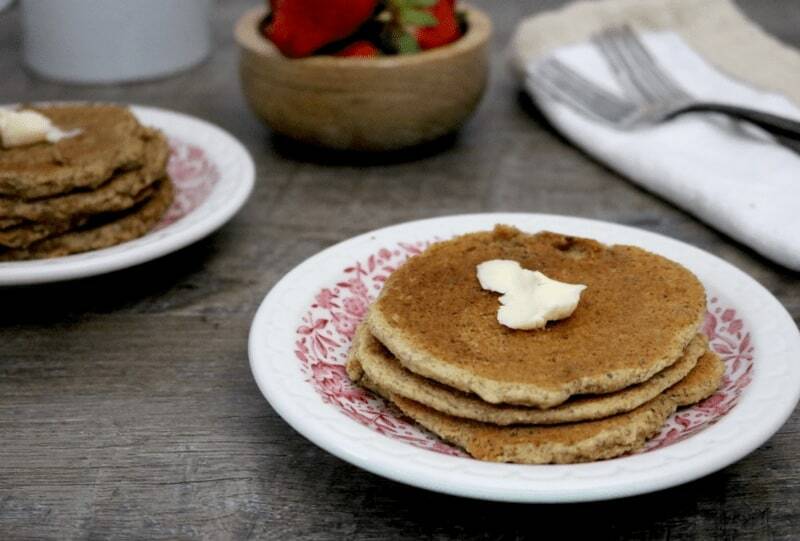 Low carb vegan pancakes for breakfast make the ideal comfort food, whether you save it for a special weekend meal or meal prep for your weekday. Made with almond butter, almond flour, and coconut flour, you’ll be surprised this recipe only has 2 net carbs per serving!